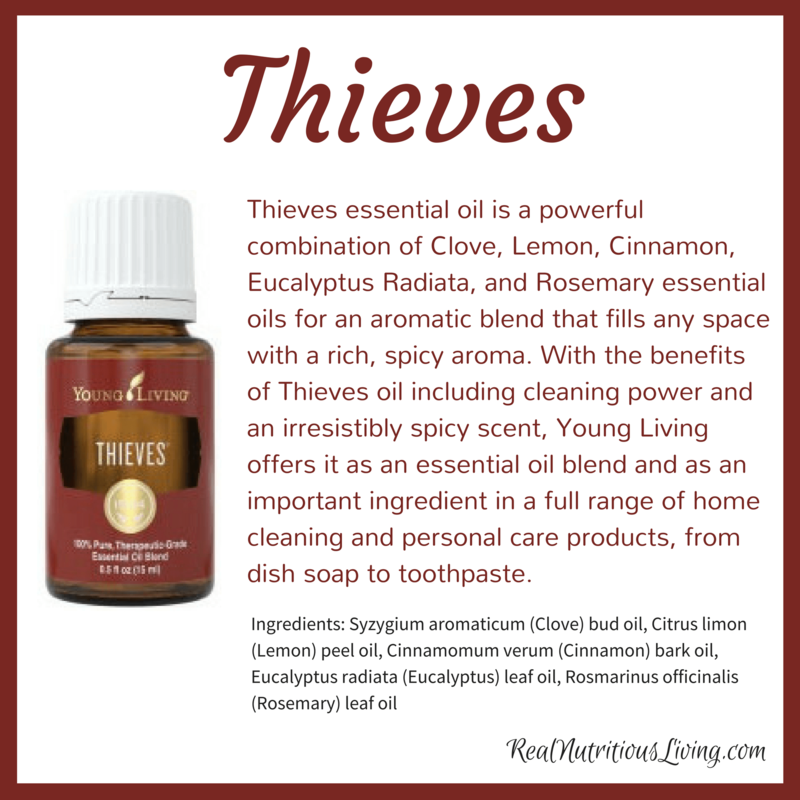 Thieves essential oil is a powerful combination of Clove, Lemon, Cinnamon, Eucalyptus Radiata, and Rosemary essential oils for an aromatic blend that fills any space with a rich, spicy aroma. 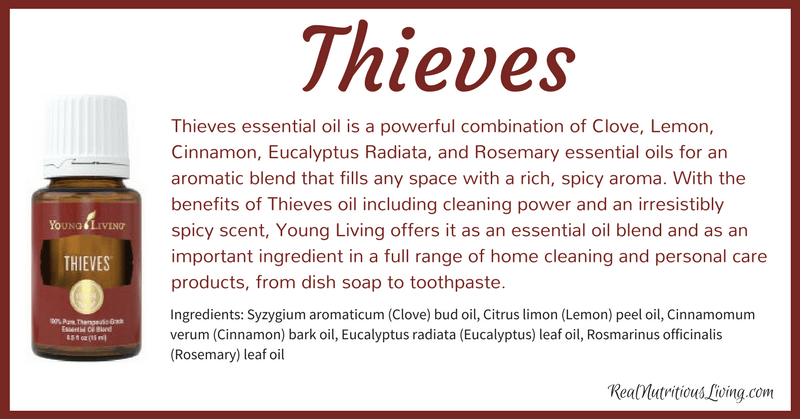 Inspired by the legend of four 15th-century French thieves who formulated a special aromatic combination composed of clove, rosemary, and other botanicals used while robbing the dead and dying, Thieves is one of Young Living’s most popular products. Topical: Dilute 1 drop with 4 drops of V-6 or olive oil. Test on small area of skin on underside of arm. Apply to desired area as needed.